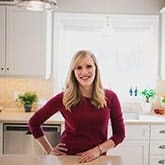 I don’t do many cookbook reviews here on The Recipe Rebel lately, but this is one I just couldn’t resist. 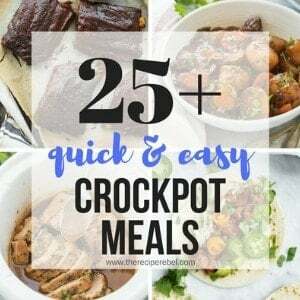 And even though there are tons of one pan meals for your dutch ovens, skillets, sheet pans, roasting pans and your slow cooker — I just can’t resist a hearty slow cooker meal in the middle of February. You know?? Since I don’t even have a chili recipe on the blog yet, I figured I was long overdue. What I love about this recipe is the simple ingredients. 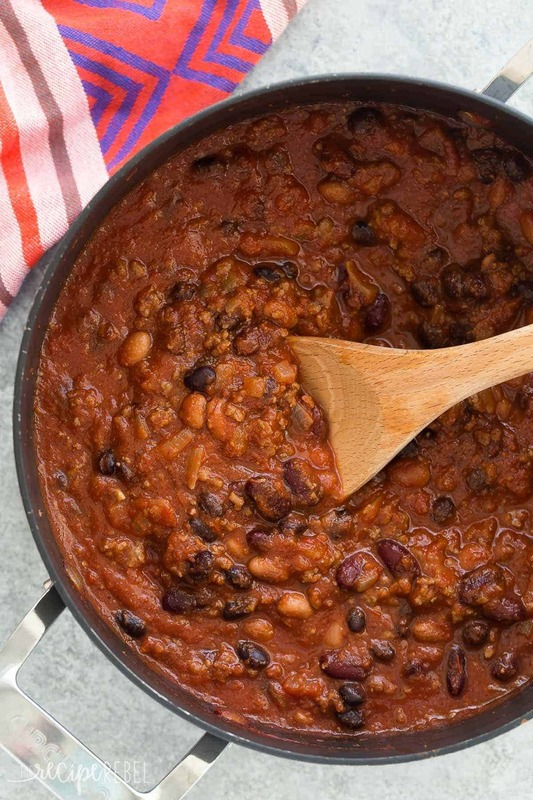 Yes, you can add all kinds of things to it and tweak it to your tastes, add in veggies, other spices or seasonings — but I just think it’s the perfect go-to chili recipe to take on all of those things. I also love the microwave shortcut. 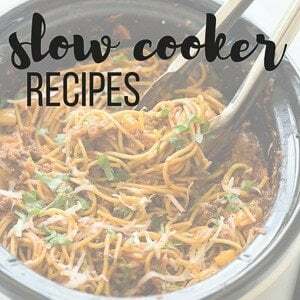 I’ve noticed in the other slow cooker cookbooks that I have from American’s Test Kitchen that the microwave is often used to cut cooking times or build flavor without using an extra pan, and I think it’s brilliant! With a 2 and a 4 year old begging for allthethings all the time, we need quick and easy. I am definitely going to be using that trick for all of my slow cooker recipes that call for ground beef! Next on my list to try is the Cashew Pork and the Hands Off Spaghetti and Meatballs (but seriously — can you imagine baking spaghetti and meatballs, completely from raw, in a casserole dish in the oven?!? It’s blowing my mind) and so, so many others. 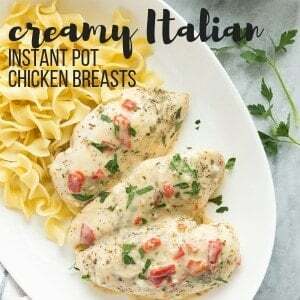 This cookbook is perfect for those who are short on time (or hate doing dishes) but want big flavor and tired of the same old one pan recipes. 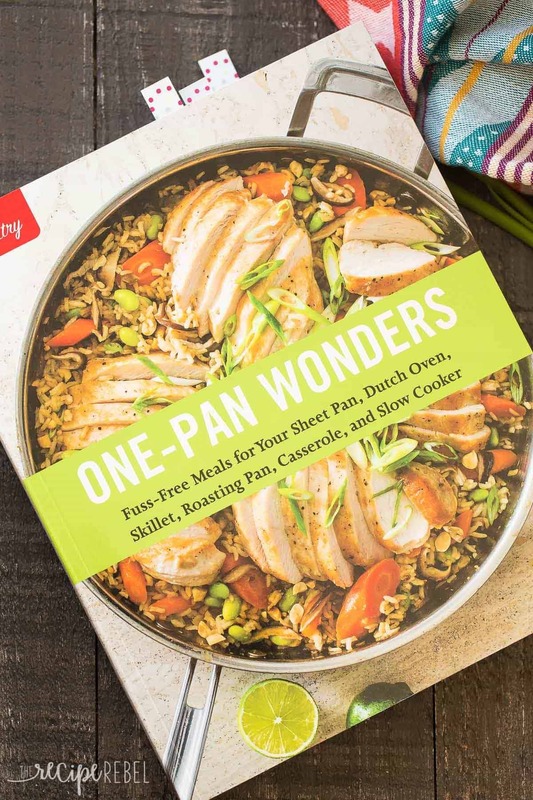 *I was given the One Pan Wonders cookbook from American’s Test Kitchen for review purposes. All opinions are my own and I was not compensated for my time. 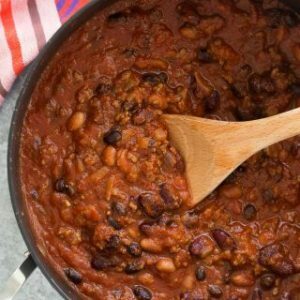 This Slow Cooker Three Bean Beef Chili is a hearty, but so easy protein loaded meal for any night of the week! A microwave shortcut makes makes it a one pot meal and cuts down on prep time. Combine ground beef, onions, chili powder, oregano, salt and pepper in a large bowl and stir to combine. Microwave on high until beef is no longer pink, stirring occasionally, about 8-10 minutes. Place beef in a 4-6 quart slow cooker and add beans, tomatoes and brown sugar. Cover and cook on low for 6-7 hours or high for 4-5 hours. Skim any excess fat from surface with a large spoon and season to taste before serving. *This recipe is halved from the original -- it was still lots for our family of four with leftovers! Feel free to double and make a larger batch, especially if you want some to freeze for quick meals later. ** The second time, I made this in a pot, cooked the ground beef and added everything else. I let it simmer for 45 minutes or so, covered on low, and was still great! I also reduced the chili powder slightly to our kids tastes, added ½-1 cup of water, and added a few tablespoons maple syrup -- we loved it! *This recipe is halved from the original — it was still lots for our family of four with leftovers! Feel free to double and make a larger batch, especially if you want some to freeze for quick meals later. [br]** The second time, I made this in a pot, cooked the ground beef and added everything else. I let it simmer for 45 minutes or so, covered on low, and was still great! I also reduced the chili powder slightly to our kids tastes, added 1/2-1 cup of water, and added a few tablespoons maple syrup — we loved it! I have to work a 8:30- 5 job and leave the house about an hour before my job starts. Would it be okay to leave the chili on low for that long? It is SO good! One of my go-to cookbooks for sure! One pot wonders are my life as I hate dishes and I am always short on time. 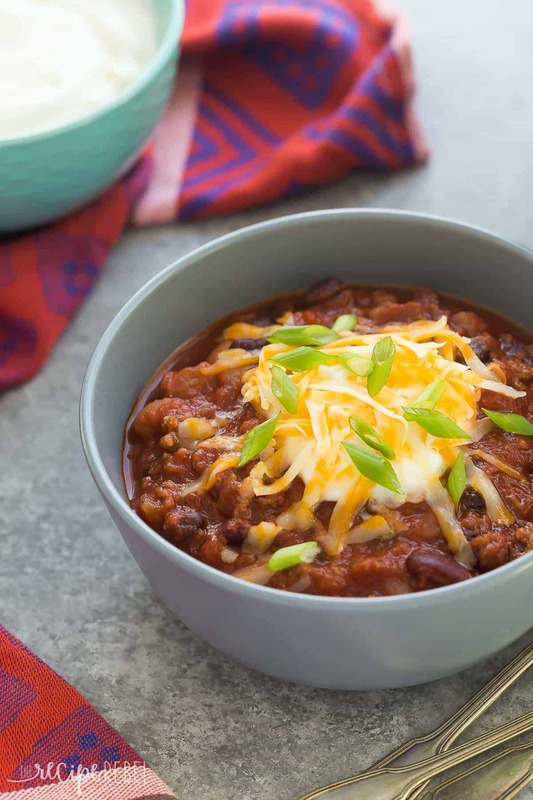 I have been making a lot of slow cooker meals lately and this chili needs to go on my list. Especially on this snowy day! There’s nothing I love more than letting my crockpot make my chili for me! This is totally my kinda comfort food, Ashley! My family is gonna love it. 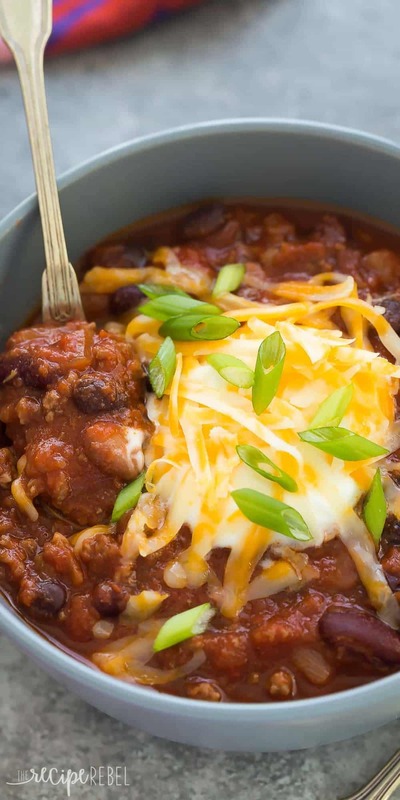 Slow cooker meals are the best, especially when it comes to chili! My husband isn’t a fan of beans in his, so I usually just double the meat and leave it out. But, this is the kind of meal that I would make and eat all by myself. Such perfect comfort food!